My friend, Kathleen and I made stockings this afternoon. It was such fun. I just put holiday greenery and fairy lights in mine to hang on the front door. I love Christmas!!! 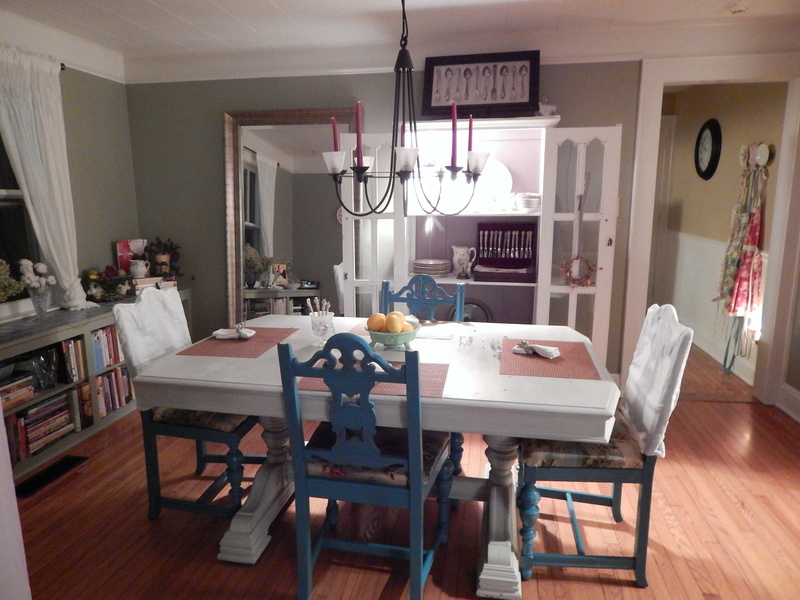 Here is the Dining Room “after” photo. The wall color is called Mount Pleasant Sage. The chandelier is cool from Ikea. I love it because it has electric lights plus candles. So if there is a power outage, you still have a chandelier. Notice the white French cabinet backdrop is painted Chainstitch. All of the colors are from the Low Country Palette from Sherwin Williams. I used a vintage Charleston print as my inspiration for the colors. I will try to get a picture of that later.